Learn to shred or progress your bodyboarding skills quickly in Cornwall with our Private Bodyboarding Lessons at Newquay Activity Centre. Designed to transform your riding technique to capture more speed, pull awesome tricks and improve wave knowledge, our Private Bodyboarding Lessons can help you master moves fast whatever your age, level or ability. Or if you are a little nervous about the ocean, this session is for you. From paddling out, the trim technique and wave selection for the less initiated through to catching varied wave types, preparing for bigger waves and competition travel, our Private Bodyboarding Lessons offer an intensive level of one-to-one tuition that you won’t experience in regular group lessons when bodyboarding in Cornwall. You also get feedback following every ride so your performance will skyrocket, even if you’re a complete beginner. With our Private group option you receive all the instructors focus and can have the lesson tailored to your needs. You’ll get changed in our heated locker rooms, with storage for your valuables before warming up on Newquay’s infamous Towan Beach. Not only will you have your instructor’s undivided attention, but also they will carefully plan and adapt the lesson according to your learning style and personal goals. 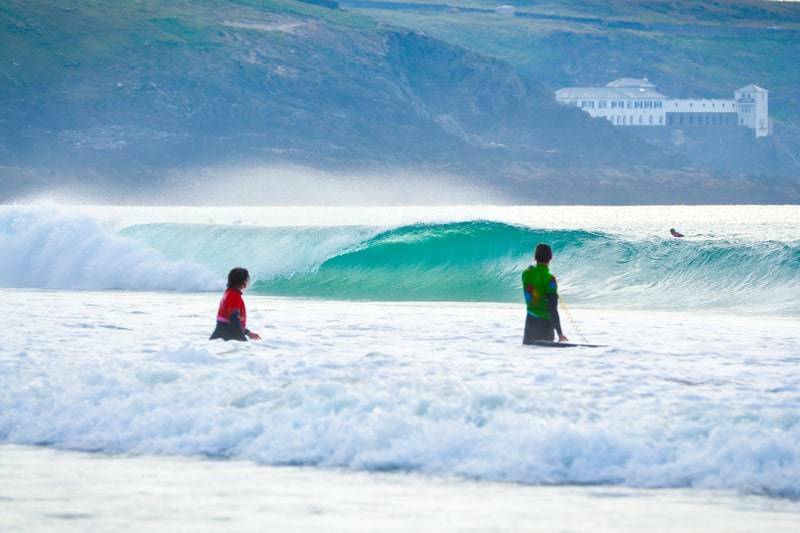 You’re guaranteed to boost your confidence in the water as well as your bodyboarding skills. Newquay Activity Centre’s Bodyboarding School in Cornwall is a certified Surfing England Centre of Excellence and all our bodyboarding lessons have been designed by British Team Coach, Rob Barber. This means that when you learn to bodyboard with us you’re guaranteed the highest level of unparalleled tuition in the industry. One-to-one instruction from an experienced, qualified instructor.